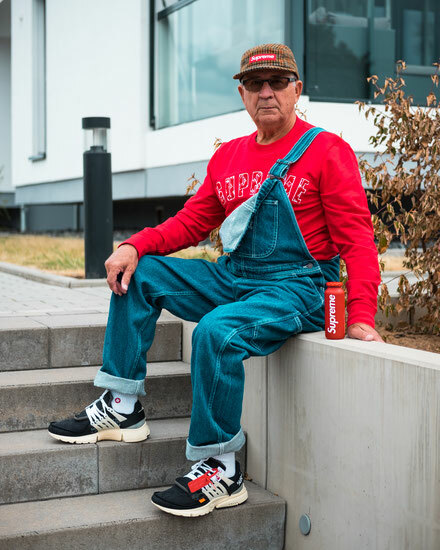 As you might have seen already, Gramps loves streetwear and comfy sneakers. 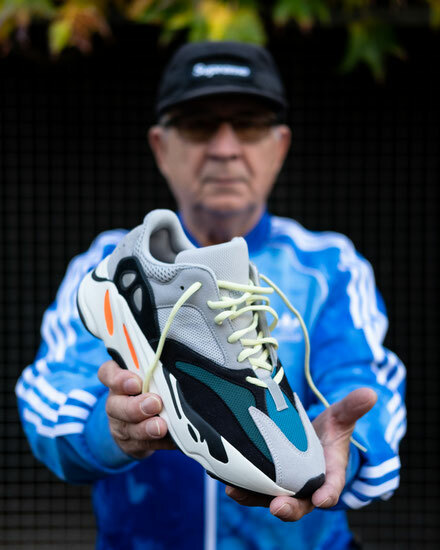 Last year we did a "Gramps Top 5 Sneakers of 2017" list where Gramps not only showed us his favorite sneakers but also explained why he chose them. 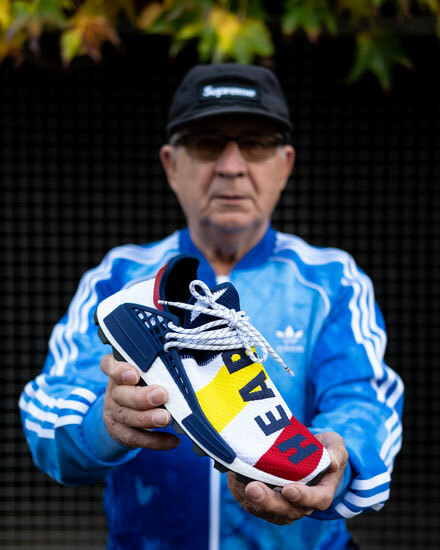 Now - almost a year later - he gives a quick insight into his sneaker collection by showcasing his five favorite sneakers. Check out his picks below and don't forget to follow us on Instagram! 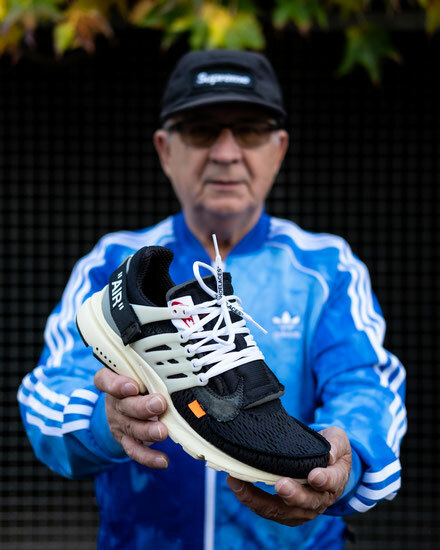 If you're from Germany or capable of understanding German you can also watch a video of Gramps showing his top 5 sneakers. "The Pharrell x BBC Hu NMD is most recent pickup. I Iove the vibrant colorway on the comfy Hu NMD model. 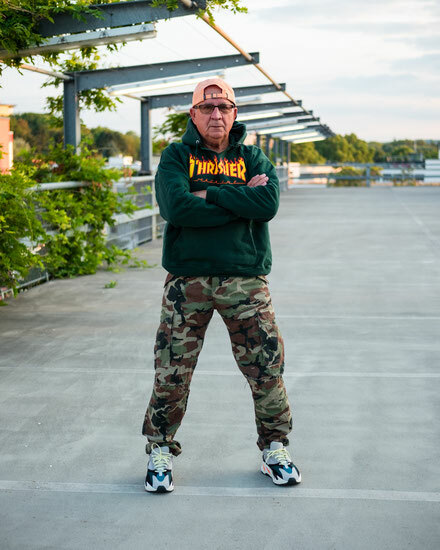 It's a beautiful sneaker that I'll wear a lot on sunny days." 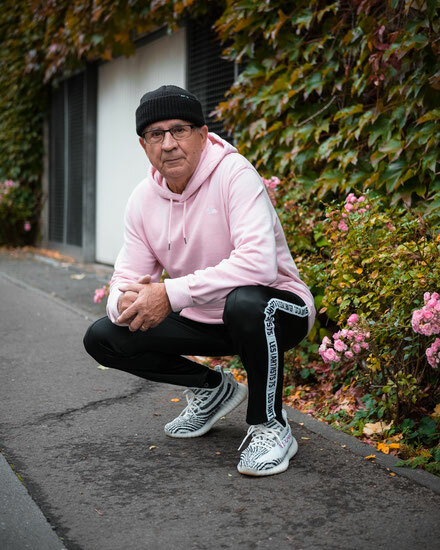 "Dad shoes not only for a dad! The Yeezy Wave Runner is a must-have! 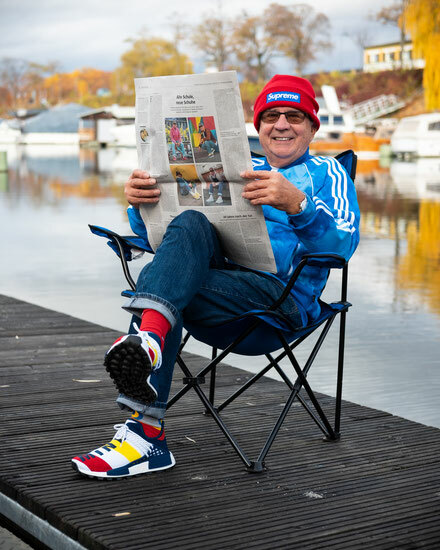 It fits perfectly into the ongoing dad-sneaker trend and has a sturdy yet comfortable sole with boost elements. You can't go wrong with the OG colorway, it's perfect!" 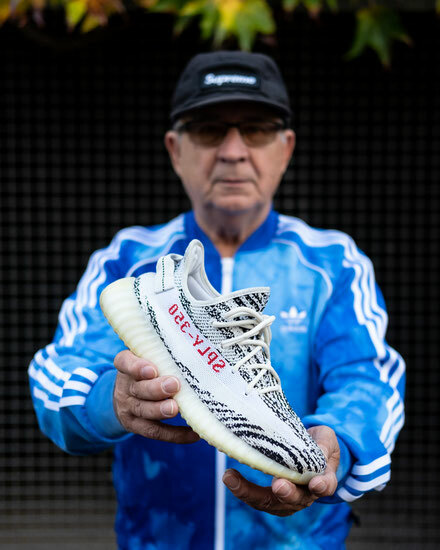 "The Zebra 350s were my first pair of hyped sneakers. Back in 2017 (when they first released) I managed to get a pair and I still wear them to this day. They are so comfortable! I wear my 350s when I have to walk a lot and for the gym. They might actually be my most worn sneaker!" "Underrated! 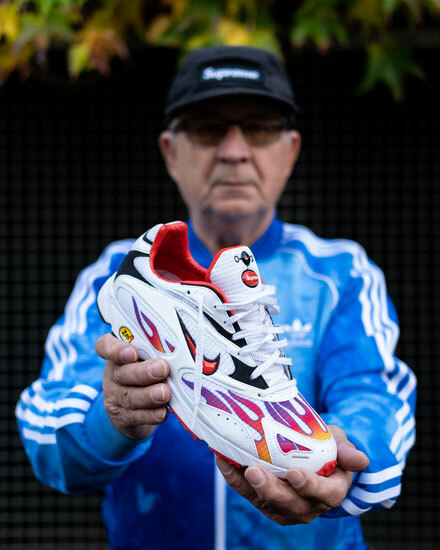 The Nike x Supreme Zoom Streak Plus wasn't as hyped as other Supreme x Nike collabs. That doesn't mean that they're bad, though! Bringing back a running shoe that first appeared in 2003 is great! The flames are a unique detail and the colors work really well together. Plus, there's no resell on this. No hype, no resell but a great sneaker - I like it!" "The best! You can't deny that the Off-White x Nike collabs dominate(d) the sneaker market. I'm a huge fan of the Air Presto silhouette due to its comfort and futuristic aesthetic. The inside-out look is such a cool design and the colorway is easy to combine. 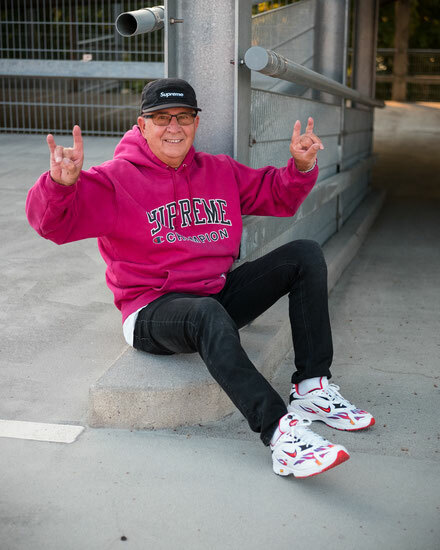 Overall a really great shoe and for me it's the best out of the THE TEN collection!"